Wisdom teeth are the four permanent adult teeth that appear at the top and bottom corners of the mouth. They erupt between the ages of 17-25. For others, wisdom teeth erupt normally like their other molars without any complications, while others develop impacted wisdom teeth. This normally occurs when the wisdom teeth have no sufficient room to erupt or grown normally. If wisdom teeth are impacted leading to pain, infections or other dental problems, they are likely to be removed to avert further complications. However, it may be difficult to decide whether to have your wisdom teeth removed or not. Dentists or oral surgeons may still recommend extraction of wisdom teeth even if the impacted teeth are currently not causing any dental complications. Prior to the procedure, the dentist may advise you not to drink or eat after midnight on the night before the surgery to reduce chances of aspiration. Before the extraction, the dentist administers local anaesthesia to numb the extraction area. 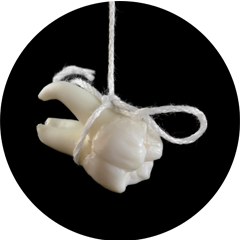 A general anaesthesia may be administered where several or all wisdom teeth are to be removed at once. This will reduce pain and induce you to sleep during the procedure. To remove the tooth, the dentist will open up the gum tissue and any bone covering the tooth. The connecting tissue (that connects the tooth to the bone) will be removed. Sometimes the tooth may be cut into smaller pieces to enable easy extraction. The dentist will clean any debris from the tooth or bone extraction area before stitching. Finally, cotton gauze will be placed over the wound to reduce bleeding and help in the blood clot. Tooth extractions and oral surgery may sound scary, but you need not fear. 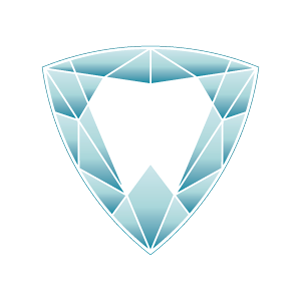 Trilliant Dentistry has decades of experience in providing quality dental care and surgical procedures including wisdom tooth extraction. Using sedation dentistry and well-proven techniques, we perform oral conscious surgeries and tooth extraction in Milton and surrounding areas. If you are experiencing tooth or mouth pain, kindly call our dental office today to schedule your appointment. Our dentists will assess your situation and offer the best solution.